Tiffany Doré & Cathy O’Neill are both Santa Barbara natives. They represent the power of teamwork, allowing them to quickly respond to their client’s requests and working diligently with buyers and sellers in Santa Barbara, Montecito, Hope Ranch and the surrounding areas. Both are keenly attuned to how fortunate all who live in this wonderful paradise truly are. Tiffany’s & Cathy’s local knowledge and experience, along with their love of Santa Barbara, enhances their abilities as real estate professionals to make them an excellent choice for all your real estate needs. Tiffany, a fourth-generation Santa Barbaran, resides on the Riviera with her three daughters and has been involved in planning for fund raising events for local non-profit organizations including Heal the Ocean and Lotusland, Roosevelt Elementary School PTO board and currently serves on the National Charity League Board, which she and her daughters have been members of since 2010. Her common sense and broad knowledge of the Santa Barbara real estate market enable her to achieve superior results. An organized, people-oriented person with a Bachelor’s degree in Communications and a background in banking and executive search. Cathy has over twenty years experience in business as an owner/manager in a professional and customer service environment before Real Estate became her full-time business. Cathy also has first-hand knowledge in planning, designing and building as well as investing in real estate herself. Cathy raised three children here and is the fourth generation in her family to do so. She loves the outdoors and takes advantage of the many outdoor activities Santa Barbara has to offer. 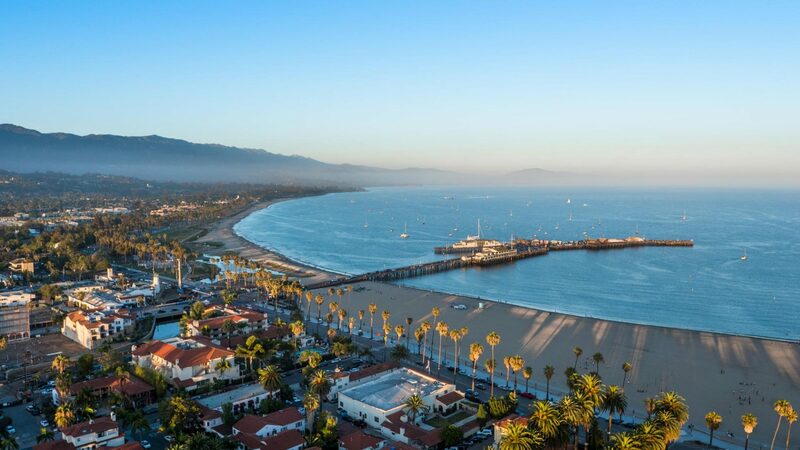 Her love of travel and history continues to take her to great destinations, but always she loves returning to one of the finest spots the world has to offer, her home, Santa Barbara. Tiffany & Cathy have a great synergy that comes from over a decade of experience working together and are trusted multi-generational Santa Barbarans possessing the necessary attributes to make the experience of buying and selling real estate an enjoyable and fruitful one. "I can't recommend Tiffany and Cathy enough. We have had a issue with Santa Barbara County that dragged escrow out for almost 2 years. Through all of ... more "
"Dore' & O'Neill Team are the ultimate. They cover every aspect of the transaction. There are never surprises and every detail is covered and handled ... more "
As multi-generational Santa Barbarans with a deep love for the community, we’ve utilized our KNOWLEDGE, STRENGTH AND EXPERTISE to become a leading team in Santa Barbara real estate. © 2018 Tiffany Doré & Catherine O`Neill Site by Ideal Positions.